​and raising the funds to make it go down! 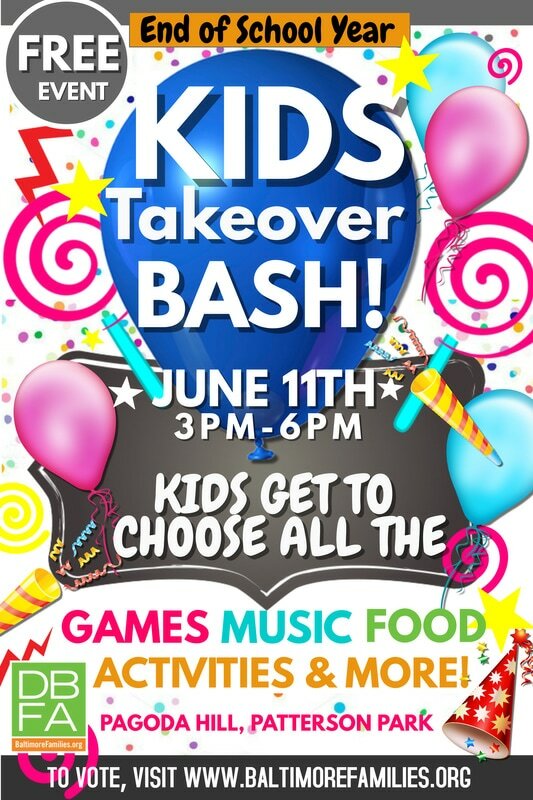 Kids are voting on what they want for our end-of-school year bash on June 11th at Patterson Park. From what games will be played to which school principal will get "pied," we're letting the kids decide what's on the agenda! To help make it happen, kids in each neighborhood are raising funds to throw the biggest bash this city's ever seen. Whichever 'hood raises the most will win a playdate with the Oriole Bird in their local park! Help your kiddo's neighborhood win! Donate Now! To make it super easy, here's a message you can have the kids send to family & friends! "Hey __________! Help me win a playdate with the Oriole Bird for me and my friends and neighbors! A small donation will go a long way in helping me with my goal of raising $______ for an end-of-school-year bash where the kids get to call all the shots. When you make your donation, be sure to include my name and my neighborhood, ___________. I'll be sure to send you pictures of me and "the Bird!" Thanks for all your help, ______(Child's Name)" Here's the link to donate!